Was it genetics, that first pony or growing up in a place known as the Valley of the Horse? It seems as if Sophie Doyle was predisposed to be a jockey. Had the 30-year-old decided to pursue other avenues, one may be addressing her as Dr. Doyle, or found her molding young minds with an emphasis on fitness and well-being as a physical education teacher. But the profession that is without a doubt her calling was shaped by her mother, Jacqui Doyle, a successful thoroughbred trainer in the United Kingdom. This is hardly your average story about a little girl and her pony. Doyle transitioned from riding ponies in show jumping classes to galloping thoroughbred racehorses when she was 11 years old. 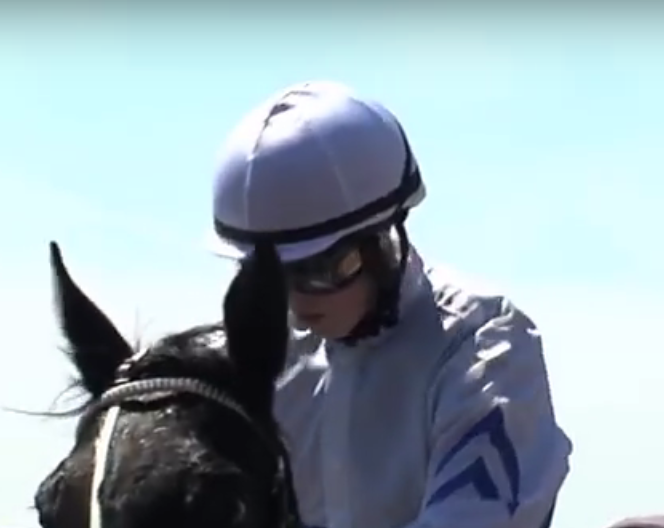 Not your typical routine for someone that age, but she and her younger brother, James, a successful jockey in his own right, learned from someone extremely knowledgeable on the subject — their mother. “As long as I can remember, I used to go out early in the morning, walk out one of my horses, clean the stall out, ride the pony before school and some of the others when I came home,” said Doyle. “My mom always had quite a big barn and stables and had plenty of space for my ponies to be kept there. It was a sense of responsibility and work ethic, instilled in Doyle by her mother, that would play a defining role in her life. Jacqui Doyle’s influence would prepare her children for the future, allowing them to succeed and survive in a world full of pitfalls and adversity. 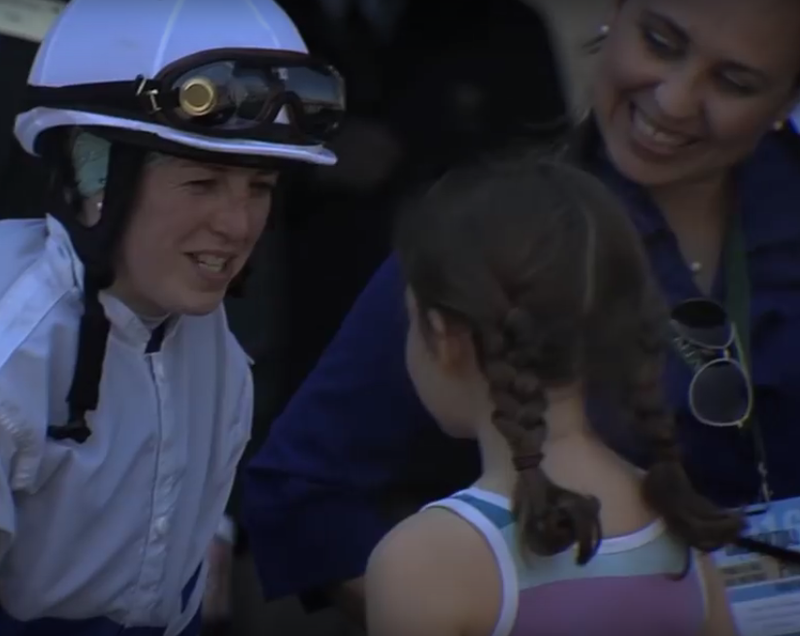 Jockey Sophie Doyle chats with a young fan. It was a kind and gentle soul, Mediator, a steeplechase horse, who would introduce the 11-year-old to training on the gallops, something she had experienced earlier in life when she would take out her ponies to race them against the thoroughbreds. The early foundation enabled Doyle to build confidence and, just a few years later, she was riding for leading trainer Mick Channon. Observation, constructive criticism and laying a strong foundation were among the variables Jacqui Doyle employed to help her children grow into productive human beings by providing them with the knowledge they would need to succeed. When many young people are searching for their identity, Doyle seemed to have a greater sense of who she was, but she did flirt with the idea of choosing a different career path. Academia redirected the aspiring race rider’s energy, but she found herself spending so much time going to the races and riding in the morning, she was forced to retake her General Certificate of Secondary Education (GCES) exams to continue on at A-level, having not done enough course work during the school year. The idea of having something to fall back on in the event a career as a horseman didn’t work out was something she kept in mind. “I retook the GCSEs and decided I wanted to be a dancer or a P.E. teacher at the time,” said Doyle. However, at age 17, Doyle became far more involved with her mother’s barn and her desire was to become a jockey. She would work eight or nine horses prior to going to school each morning. But the hard work and long days began to take their toll. One of Doyle’s teachers took her aside and told her that she would have to make a decision to continue with her education or become a jockey. The long days of working horses coupled with dance lessons and physical education activities seemed to be almost too much to take on. “They felt that I needed to choose between the two and I decided I could always come back to my education,” said Doyle. At age 19 she would continue on the path toward realizing her dreams. And, in 2010, the hard work paid off, as she was the leading female apprentice in the U.K. recording 28 victories, while working for trainer Jamie Osborne. She also enjoyed success riding for her mother. Her first win came with a horse from her mother’s barn. The horse was named Christmas Truce. It was only 12 days earlier, while riding the same horse, that Doyle appeared to be well on her way to her initial victory when, in the final stages of the race, another horse and rider would deny her that first win. Shifting Tack to the U.S. When Doyle first came to the United States, it was to work for Southern California-based trainer Jim Cassidy in 2011. She returned for another three-month stint the following winter, working six weeks for Steve Asmussen and then freelancing for the remaining time. Doyle made the decision to move to the U.S., went back to the U.K to get her visa and get everything in order, and made the transition in August 2013. 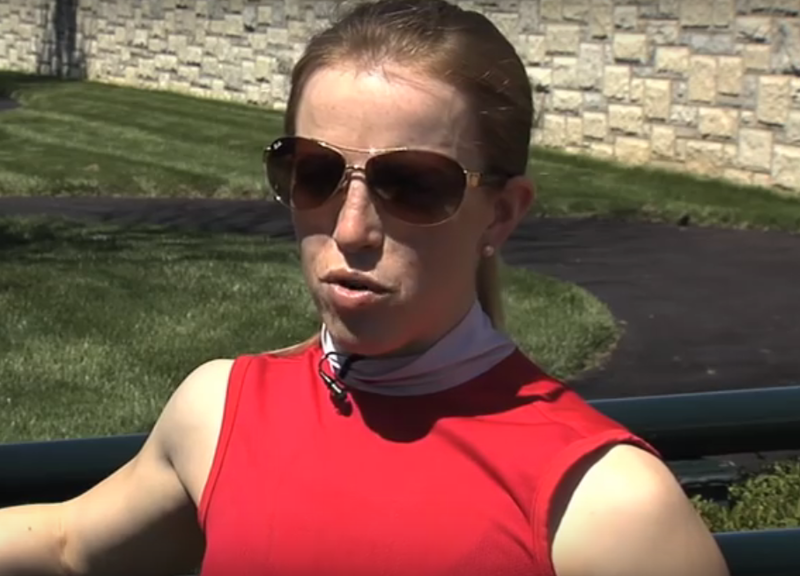 There were some adjustments that Doyle had to make in her riding style when relocating to the U.S., but that didn’t seem to faze the jockey in the least. “The tracks are very different as you’re racing on dirt,” said Doyle. “They’re all left-handed and they’re very level. The Tracks in England are in any direction, very undulating, and you ride more level with your irons because of the different directions and changes on the track to keep you balanced on the horse. A jockey’s seat and position and the way that they sit on horse are quite different in the U.S. as opposed to the U.K., where the riders are more on top of the horse and forward, not hitting the saddle, and their position is more still. Whereas, in England, the rider is going to be higher up and pushing behind the horse and almost skimming off the saddle, Doyle said. “In America, you keep your body a lot more still, your legs have to be super strong, you’re not moving at all and not hitting the saddle,” said Doyle. 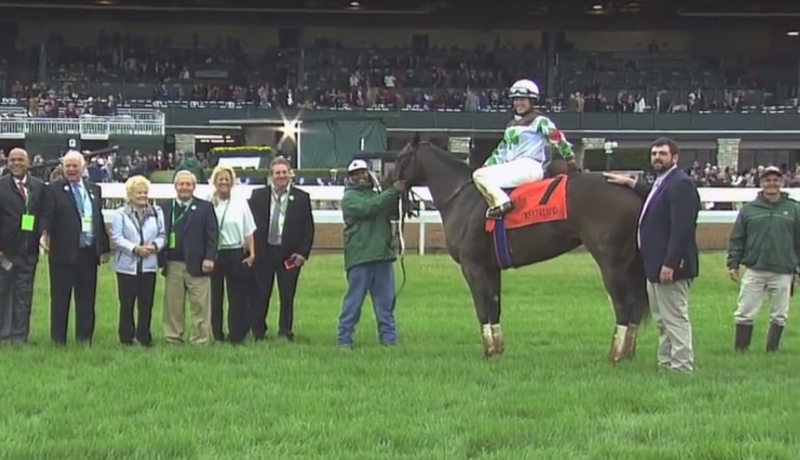 Sophie Doyle, aboard Fioretti, after winning the Thoroughbred Club of America Stakes (GII) at Keeneland. It was a bay gelding conditioned by Larry Demeritte, Jaz n Tap, that gave Doyle her first U.S. victory — the win on the son of Jazil coming in 2014 at Churchill Downs. However, it would be a mare the following year that would propel Doyle into the spotlight. A dark bay mare by Bernardini, out of the Cherokee Run broodmare Move Clickly, owned by Two Hearts Farm LLC and Don Janes and conditioned by Anthony Hamilton, provided Doyle with some of her greatest racing moments. Doyle would score her first stakes and graded stakes wins on Fioretti. But it was a fateful day at Turfway Park, an evening where a horse acted up in the starting gate, that would provide Doyle with the opportunity to ride for Hamilton. Doyle and the horse finished third. Hamilton told Doyle to come by the barn the following morning, and asked the jockey if she would be interested in breezing Firoetti. The rider and horse finished fifth in the Unbridled Sidney Stakes at Churchill Downs on May 9, 2015, a 5-furlong race on the turf, in their initial pairing. “The more times I worked her, the more we got along,” said Doyle. And on June 20 at Churchill Downs, in a 6-furlong race over a fast track, Doyle would get her first U.S stakes victory on Fioretti, capturing the Roxelana Stakes by three-quarters-of-a-length. The stakes victory was a harbinger of what was to come. After a second place finish during the summer in the 1-mile Groupie Doll Stakes (GIII) at Ellis Park, Fioretti would be pointed toward what would be Doyle’s most important victory to date in the United States. 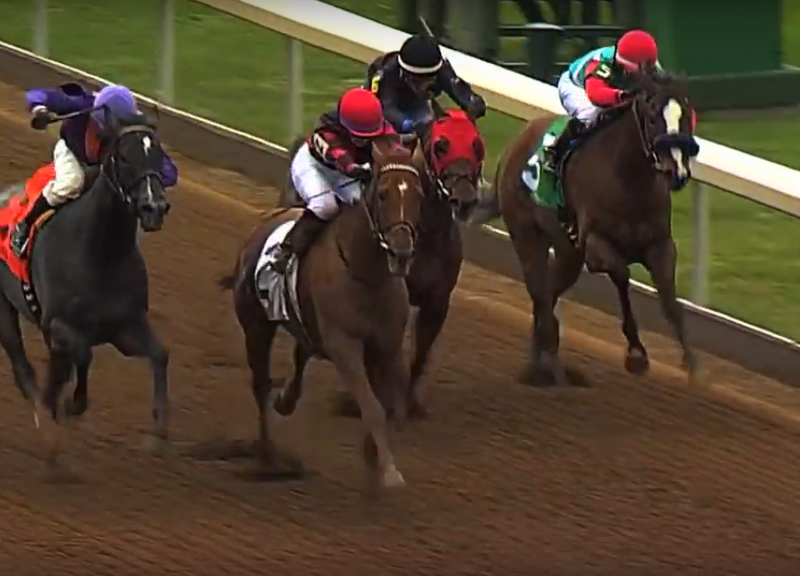 Fioretti charges to an upset victory in the 2015 Thoroughbred Club of America Stakes. It was jockey Sophie Doyle’s first graded stakes win. Firoetti’s next start would come in the 6-furlong Thoroughbred Club of America Stakes (GII) at Keeneland. Doyle navigated Fioretti to a ¾-length victory over an off track. It was a dream come true for the rider. It justified her decision to move her tack to the States. However, Doyle acknowledges it was the team behind her that was responsible for her success, one that saw her win 72 races in 2015. Grade I winner Judy the Beauty was among the entries in a solid field for the thoroughbred Club of America Stakes on Oct. 3, 2015. And as the race unfolded, Doyle and Fioretti did their best to keep the favorite in their sights. A premonition before the race actually became a reality in its aftermath. And when she returned to the winner’s circle, Doyle was greeted with a series of resounding cheers. It was an emotion-filled day for the connections, said Doyle. Anthony Hamilton’s father (Joe) had passed away earlier in the year, said Doyle. Fioretti would finish the year with a 13th-place effort in the Breeders’ Cup Fillies and Mares Sprint. The mare could be difficult and keen with you, said Doyle. The jockey had to learn not to fight Fioretti, and kept her hands as quiet as possible and relaxed when riding the filly. A win on the Indiana-bred gelding Shut Up Chris in November at Churchill Downs punctuated a successful year in 2015. She took two weeks away from riding, going back to England to be with her grandmother, who wasn’t doing well healthwise. She returned stateside with her sights set on the Turfway Park meet. Doyle enjoyed success during the winter with Mike Secen as her agent, but wanted to stay in Kentucky, being that a lot of her business comes from Keeneland and the Thoroughbred Training Center in Lexington. It was during the spring that she switched agents. Corey Prewitt is now handling her book. Sophie Doyle guides Torrontes to victory. Doyle had more than 30 wins in 2016, when she sustained a serious injury on May 27, while riding a horse named Showered at Churchill Downs. The jockey broke her collar bone in four places. And as the bone began healing, Doyle began doing a lot of physio to stay in shape. She began doing exercises and, with her right arm still in a sling, would still get on her Equicizer as a means of keeping her legs active and building up strength. Doyle went to a physical therapist once a week during her recovery. She’s also swam every day during the process to help build muscle. The injured athlete wasn’t going to let the adage “out of sight, out of mind” keep her from staying in the forefront of people’s thoughts. However, the new year couldn’t have started any better for Doyle, who won the Wintergreen Stakes on Jan. 2, while up on Serene Melody for owners the Robert and Beverly Lewis Trust and trainer Charles Lopresti at Turfway Park. It was the daughter of champion Serena Song’s last start. Doyle has had three second place finishes since her return on Aug. 5. The jockey, the day after her return, piloted Agave Racing Stable’s Emmajestic to a second place finish in the 1-mile Groupie Doll Stakes (GIII). The 4-year-old gray filly is conditioned by Michelle Lovell.